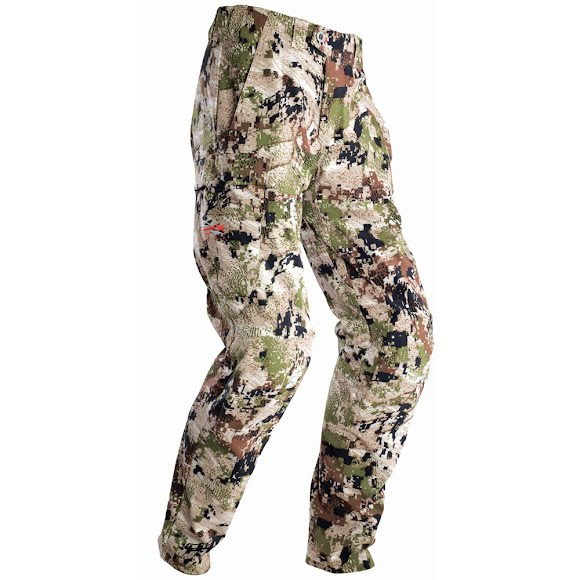 Sitka Gear's Apex Pant is equipped to meet the dynamic demands of big game hunting. A soft micro-grid fleece interior balances warmth and breathability during varying levels of activity while a bonded polyester face provides weather resistance and noise reduction. Sitka Gear &apos;s Apex Pant is equipped to meet the dynamic demands of big game hunting. A soft micro-grid fleece interior balances warmth and breathability during varying levels of activity while a bonded polyester face provides weather resistance and noise reduction. Removable knee pads and internally divided cargo pockets add function and stealth to an adaptable pant ready to hunt from early season well into the fall. Optifade camouflage from GORE is the first and only concealment system ever scientifically designed around the way a hunter&apos;s prey views the world. It&apos;s the only concealment system to combine a symmetry disrupting macro pattern with the fractal geometry based micro pattern designed to become nothing in the eyes of prey at engagement ranges of 20 meters and beyond. Sitka outer layers are originally treated with a Durable Water Repellant finish (DWR), which keeps the outer fabric from becoming saturated so that the breathable barrier can do its job. This coating needs to be replenished once per season, or more often if the piece gets a lot of use or washing. If water is no longer beading up on your shell, it&apos;s time to repeat it.